"BlogShopping is a multi brand concept store that bridges the gap between online labels and retail. Shop from any of our 3 outlets at Far East Plaza #01-33/34, Jem #04-07 & Bugis Junction #03-12A with new Arrivals weekly consisting of 400 pieces from all your favorite blogshops as well as pre launch and exclusive items from our vendors. So our clothes would always be up to date." I wanna thank BlogShopping once again for inviting me down to their Bugis Junction outlet. I don't think they need much introduction cause I am certain that all of you blogshop fanatics already know that they house all of your favorite blogshops under just one roof. Thus making shopping a hell lot more fun and efficient. Just like the other outlets, there's a HUGE variety of apparels offered. You can find almost anything there! From basic casual everyday apparels, to classy dresses and party outfits, they have it all. Also, apart from just apparels, they offer a great selection of bags and caps from selected blogshops. One will literally go crazy in their stores cause it's really a blogshop heaven. I have always thought that this is such a great concept cause now you can physically try the apparels on. The best part of all of my visits to BlogShopping would be the part where I get to choose the apparels I want for myself! hehehe. I'd usually walk one round throughout the store first before picking what I want. I don't wanna end up with a hell lot of clothes hanging on my arms as I shop for more. Really adore all things furry that keeps me warm this season. Such a pretty basic top that goes well with ANYTHING! Now listen up for their new current promotion! Shop & Win At BlogShopping. 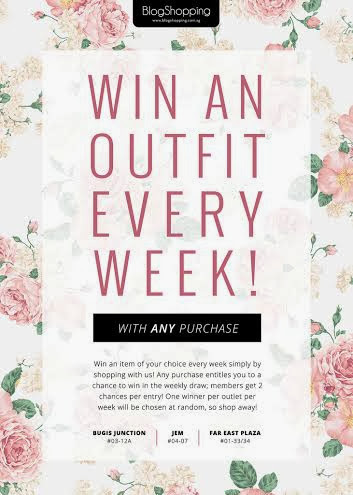 Shop at BlogShopping and every purchase would entitle you to a a lucky draw form and if you're lucky, you can select any 1 apparel of your choice from the shop. In addition to that, BlogShopping have their very own membership card program. 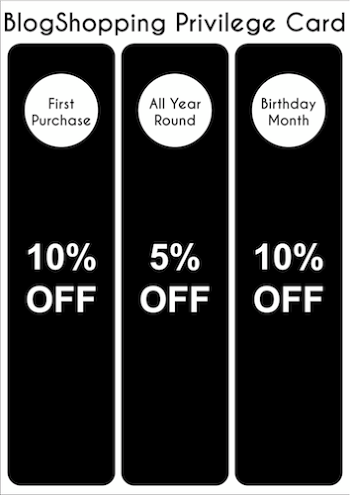 Sign up at $10 for 1 year, and get 10% off your 1st purchase, 5% all year round and 10% off your entire birthday month. Membership card can be used at both Far East Plaza #01-33/34, Jem #04-07 as well as Bugis Junction #03-12A. Like them on Facebook to get first hand updates on new arrivals in their store and join their giveaway to win sponsored apparels weekly! BlogShopping is available at the following places! 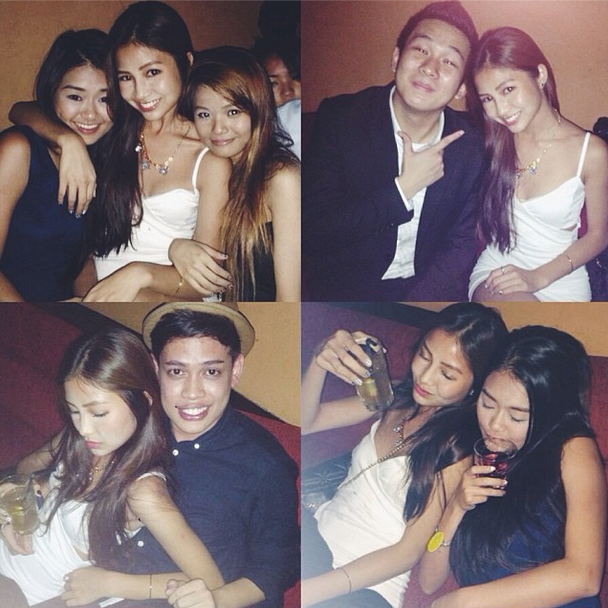 Ending off this post with some #TGIF pictures taken on Friday. 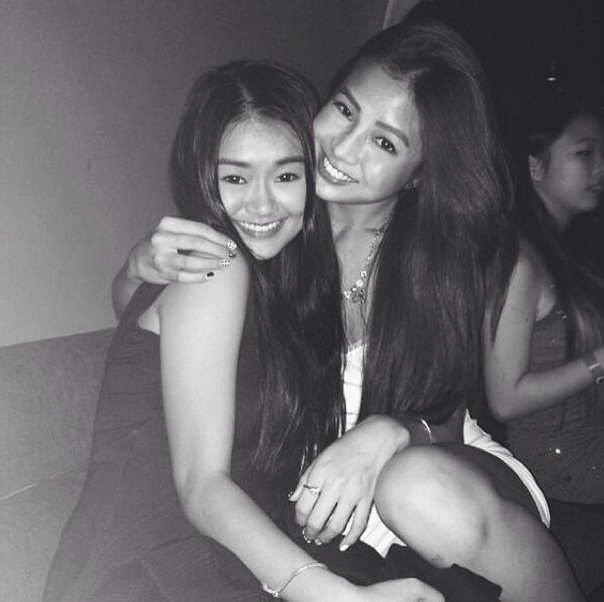 Haven't seen and partied with Ashleigh A.K.A The Princess for so long.. 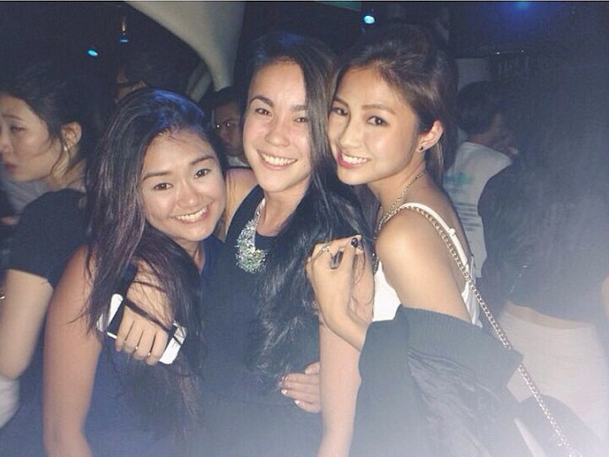 Finally got the chance to party after like 5 months?? 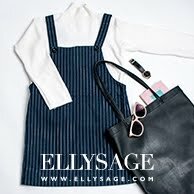 "Ellysage is a global online store that provides affordable fashion-forward apparels. They are based in Singapore and sources and manufactures products from all over the world. They are a dedicated team that believes in running their business with sincerity and hard work. They believe in constant innovation and continuous improvement in their company, website, and their operations, so as to bring you an better shopping experience. They aim to one day become the online store known for unparalleled customer service." This gorgeous cobalt dress isn't available on their site yet but it's probably one of the dresses that Fai loves a lot on me. Not only does its color stand out a lot, the quality is freaking awesome and it details are perfect. Trust me, you wanna keep a look out for this dress, its such a perfect dress for Christmas or CNY! Also, I LOVE the cut in halter neck line. Wore this dress just a few days ago to Maybelline's event. So what are you waiting for ladies? ?